The business of business is simple – to make money. Plenty of great companies make additional efforts to protect the environment, improve their communities, invest in education, and other endeavors, but their main pursuit remains the same. It has to be this way, or businesses would never survive. The primary tactic that businesses use to make money has stayed the same as well – provide better products and services for reduced costs. The theory is proven – it’s the application that doesn’t always work out. 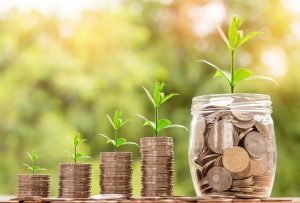 If your business is struggling for ideas to reduce costs and improving your bottom line, consider these four ways you can reduce spending while maximizing growth now. The struggle between employers and employees has remained the same over the years. You need great people to grow your business, but the more you grow, the more it costs to retain your workforce. For many businesses, employees are often sadly the first area they choose to cut when they need to reduce costs. But this isn’t the 20th century anymore. Just because you need to cut costs doesn’t mean you have to give anyone their termination notice. Instead, you can simply let them skip the office and work remotely. The list goes on, but it already speaks for itself. If you want to keep all of your amazing people and still reduce your costs, let them work from home. When you went into business, did you dream of dealing with your own taxes? How about handling all of the essential HR functions? Business owners don’t start companies because they’re thrilled with these management essentials; they do it to focus on their core passions. These other functions may be essential, but that doesn’t mean you have to handle all of them yourself. First and foremost: never outsource your core function. It’s why you went into business and it’s the area where your customers expect the highest quality. You need to control that one directly. Additionally, if you work in an industry like construction, you should definitely look to outsource your transportation needs. You may think you need to own your own fleet, but by the time you factor fuel, insurance, maintenance, and modernization costs, you could easily save hundreds of thousands of dollars each year. Rakuten Marketing did a study in 2017 which revealed that marketers believe they waste approximately a quarter of their budget each year. The true cost might be slightly higher or lower, but still, a quarter wasted is far too much. For reducing costs, you’ve got to focus your marketing efforts (and budget) towards the things that actually work. You have to know what practices work before you can invest in them. A solid investment of your marketing budget is to study what your customers respond to. Determine what they value in your company, what communication methods work best, and what would convince them to buy from you. Newspaper and radio ads may still have a place in certain sectors, but not the majority. Your advertising costs need to be directed towards email outreach, SEO, and digital copywriting. Those are the sectors that make more money than they cost today. You’d be amazed at how much time people waste studying metrics that do them no good. I know that click rates are huge in the growing online marketplace, but for an honest assessment? They’re practically worthless. Other metrics such as media shares, email engagement, and brand awareness are all well and good. But all these factors indicate is that people are aware of you, not that they’re buying from you.